Located at Line 8 S & Hwy 11 in Oro-Medonte, Ontario, Burl’s Creek Event Grounds is a 600 acre event park with a long history since opening in 1984. Under new ownership, the venue has completed a second successful season. 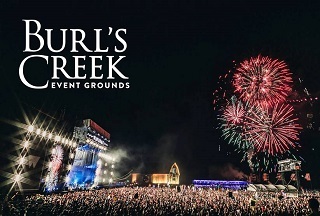 With space to comfortably accommodate 70,000 in the main entertainment arena and up to 45,000 campers, Burl’s Creek Event Grounds is looking to become Canada’s leading outdoor special event space.